Is there a better alternative to PathSnagger? Is PathSnagger really the best app in Contextual Menus category? Will PathSnagger work good on macOS 10.13.4? PathSnagger (formerly known as CopyPath) adds a contextual menu-item option to the contextual menu in the Finder. 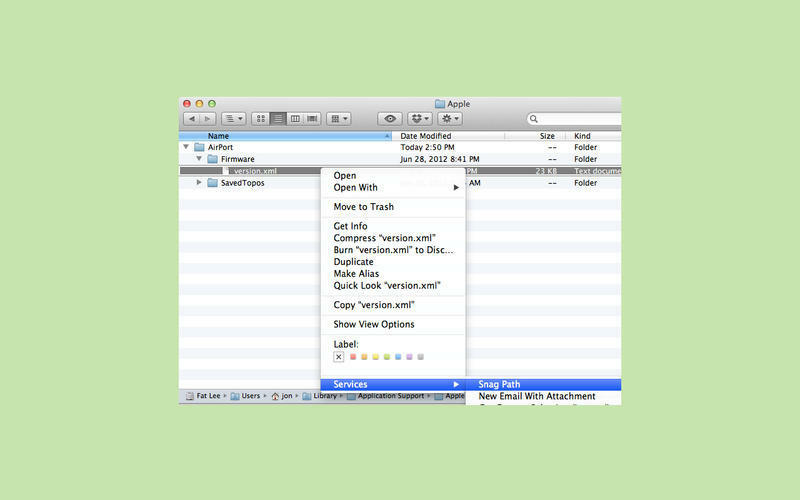 Control-click a document, application, folder, mounted volume, zip disk, anything, and easily copy the full path to that item directly to your clipboard.